This entry was posted on December 9, 2013 by queenbcandles. 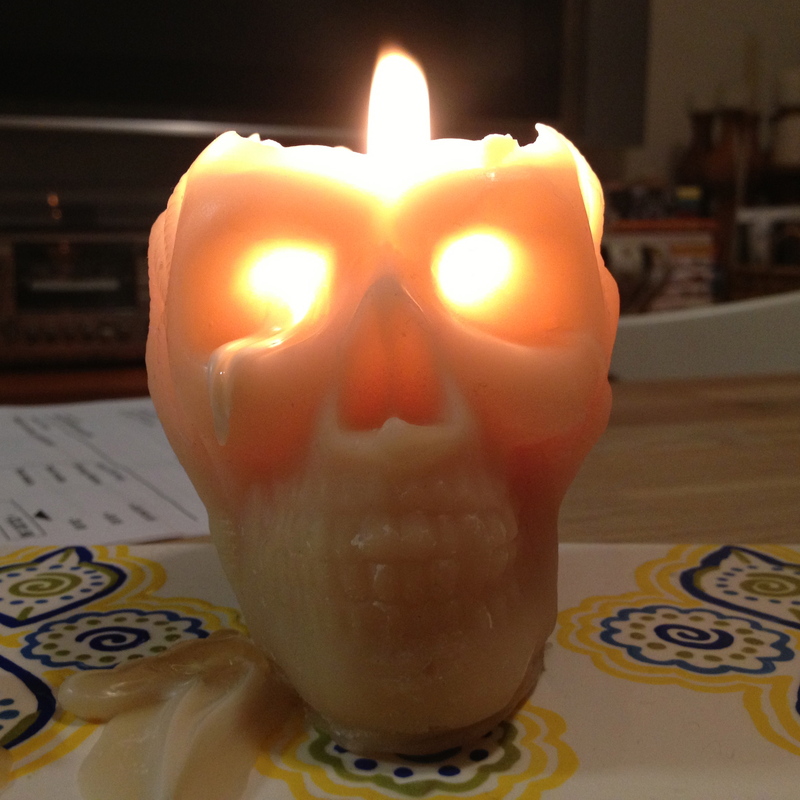 The idea of a skull candle occurred to me in about March this year when I was thinking about Earth Hour. I wanted to create a candle that was about the interplay of humanity and nature, our interdependency and humankind's destruction of nature... how we weep or lament the damage being caused but how there is also a fragile beauty both in nature and humans. I wanted it to speak visually about the fire within and the glow in someone's eyes when they're talking about something that they're passionate about. [Seriously, my mind has a life of it's own, I am just a casual observer most of the time. Note to self - stop overthinking everything]! 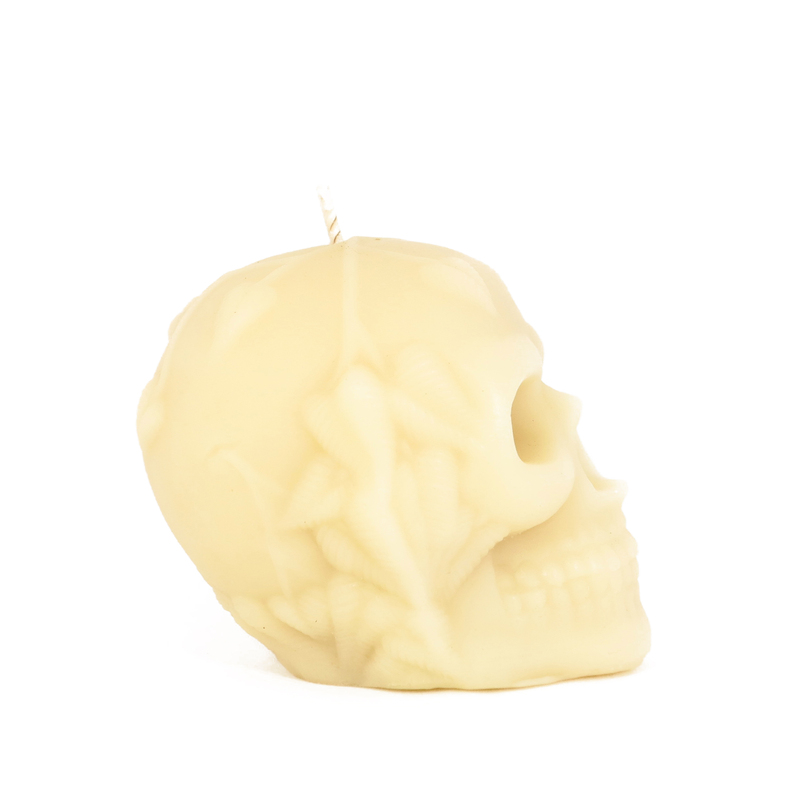 Anyway, from the idea I then went into designing the form that our candle would take. 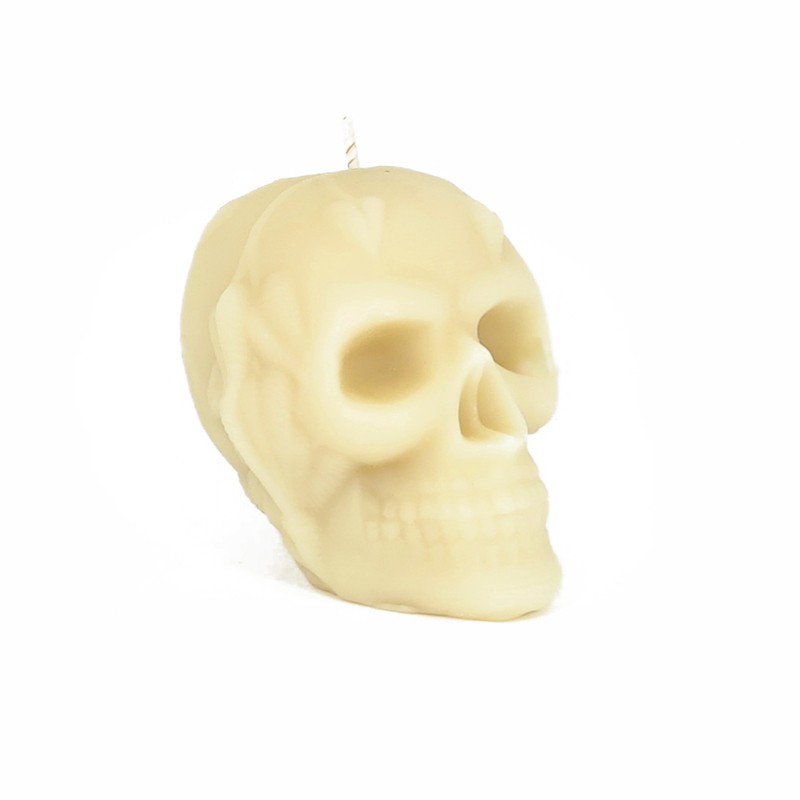 A skull with vines intertwined around the head and deep, sunken eyes so that it could cry "beeswax tears" and to frame the flame (trying saying that 10 times fast with a glass of bubbles under your belt)! From there we went into mould making and then wick testing. About 3 months had passed by now. Because this was such an important piece to me I commissioned a local craftsman to make wooden coffins for each of the skulls. There's another month. 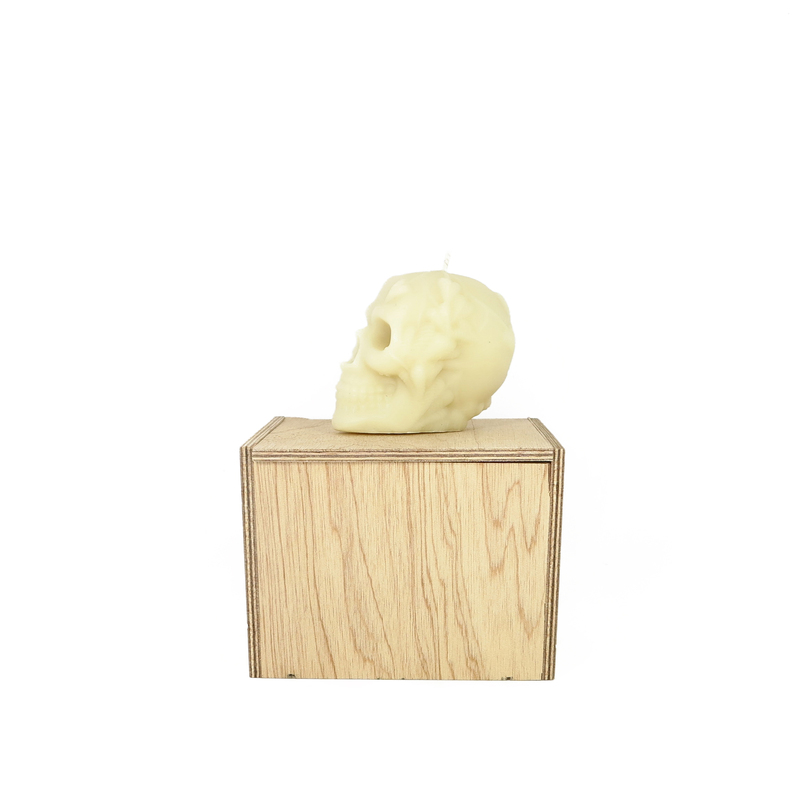 No sooner than I had nailed the right wick and the positioning for the wick (the video below is the final wick testing video) than I raised my head to see what was going on in the world and realised that skulls had become... wait for it... trendy! Quelle horreur. We set trends, or eschew trends completely at Queen B, we certainly don't follow them. So I parked the project - and gave a couple away to friends. Enter Matt Stone, friend and chef, who mentions them in a story in The Age and The Sydney Morning Herald! My cover was blown and the phone didn't stop. Even then I stuck to my guns and said we weren't selling them! Step in a wise soul who told me to get over myself and to allow our customers to decide. So, it's over to you. 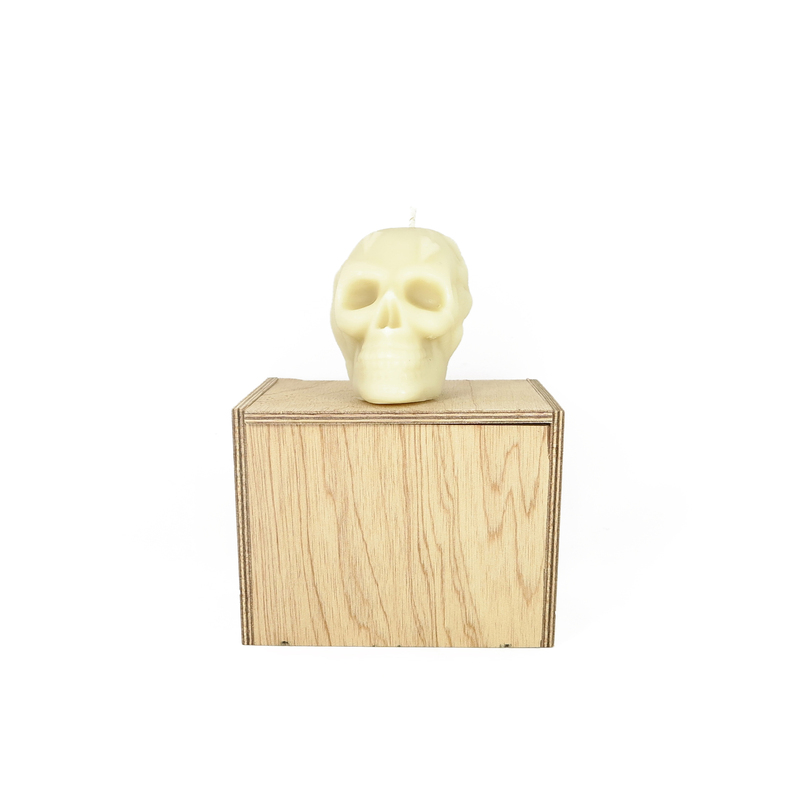 With no further ado, I like to introduce you to our Limited Edition Beeswax Skull Candle (in wooden coffin). We've had 50 coffins made and I'm off to have them laser engraved and numbered in the morning. We'll be ready to ship them by Friday (this week) - well in time for delivery prior to Christmas. There are only 50 up for grabs. 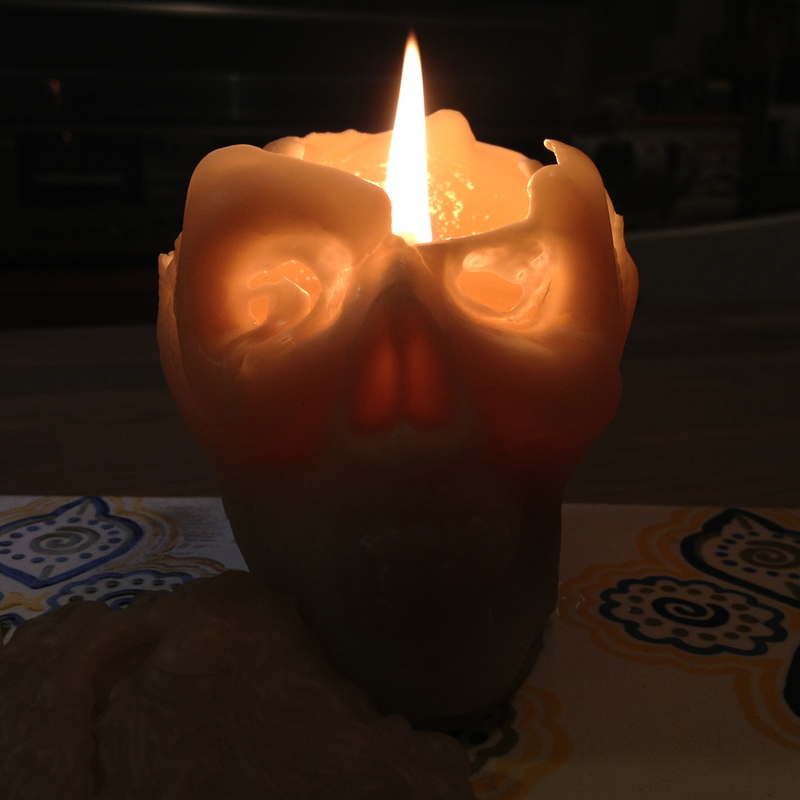 Note: there is a trick to getting the beeswax tears which is to burn the candle for 3 - 4 hours each time you light it. 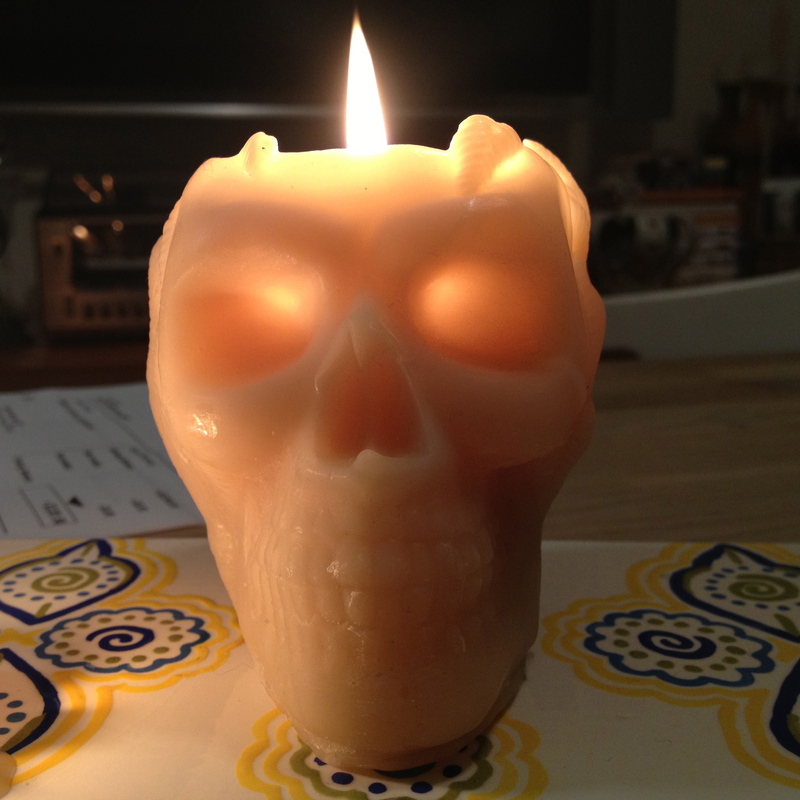 The candle needs to be able to burn the full width of the skull (and hence the eye sockets) in order to lament! 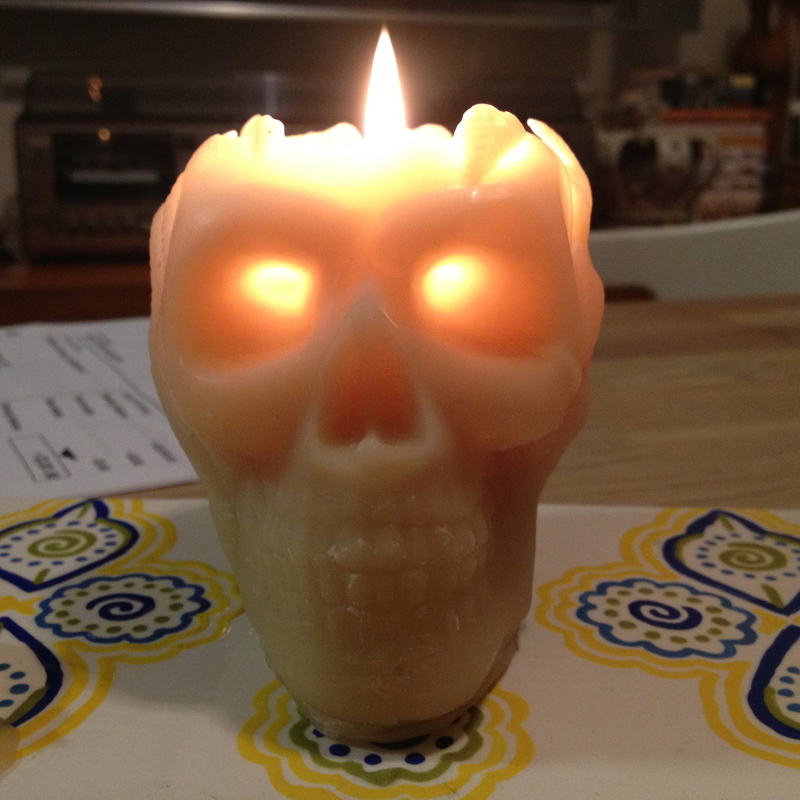 This entry was posted in Beeswax candles, Beeswax Candles & Candle Making, Business Musings, Queen B Products and tagged tears of gold, skull candle, skull, human lament, global warming, beeswax tears, beeswax candle, beeswax on December 9, 2013 by queenbcandles.